15. 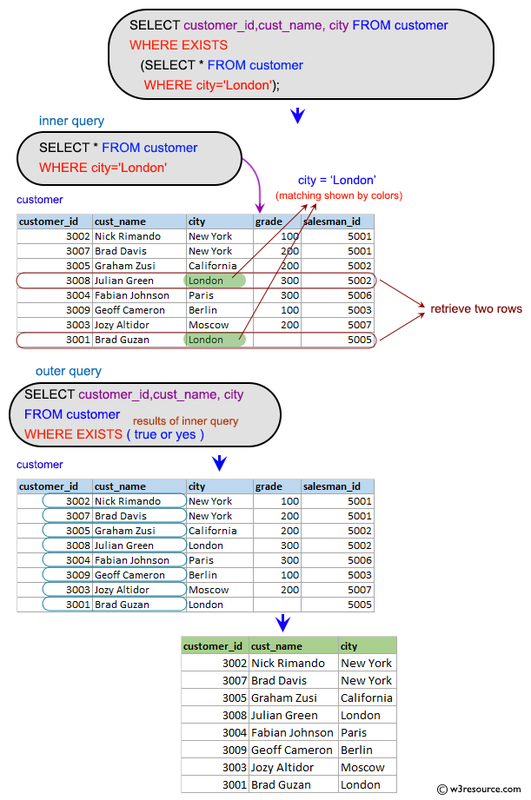 Write a query to extract the data from the customer table if and only if one or more of the customers in the customer table are located in London. Previous: Write a query to find the sums of the amounts from the orders table, grouped by date, eliminating all those dates where the sum was not at least 1000.00 above the maximum amount for that date. Next: Write a query to find the salesmen who have multiple customers.